Easy to handle, quick-fill strip with a bright yellow window makes dosing easy for you. Small 0.6-microliter sample means less blood. Your accurate test results will appear within 5 seconds. No coding. 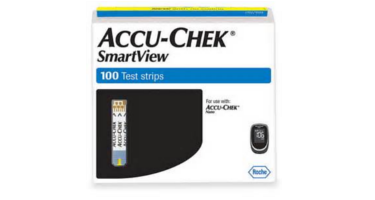 Accu-Chek SmartView test strips are for use with Accu-Chek Nano blood glucose meter.